1. I think one of the best choices for your first sight in a new city is – to go up high! And so we did. 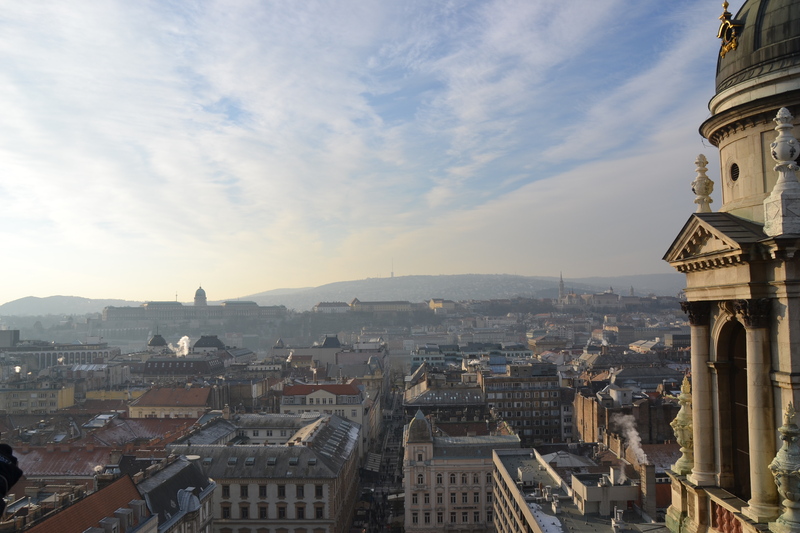 We went on the top of Szent István Bazilika to see Budapest! You gotta know where you’re gonna be walking in the next few days. It’s like a 3D map live. 2. We went to the famous Heroes’ Square, which wasn’t such a thrill for me, since it has too much of the socialist spirit (соц. излъчване), of which we have plenty at home. 3. What I really loved, probably most of everything, was the inside of their buildings. They are huge, they are ruined, they are old, authentic and beautiful. ❤ And(!) you enter in your apartment as if through the balcony door! When drunk Hungarians knock on your door and invite you to their New Year’s party – you can’t say anything else but yes! When drunk Hungarians tell you “Happy New Year” (when it’s not the New Year yet! ), you can’t say anything but – of course, Happy New Year to you too! When drunk Hungarians give you pálinka – you drink and hope it doesn’t burn your throat! When drunk Hungarians say you should sing at their home karaoke – you sing! 5. The great market hall is a nice place. (Халите 2) You can spend a lot of time just wandering around looking at their traditional food and souvenirs. 6. The baths! 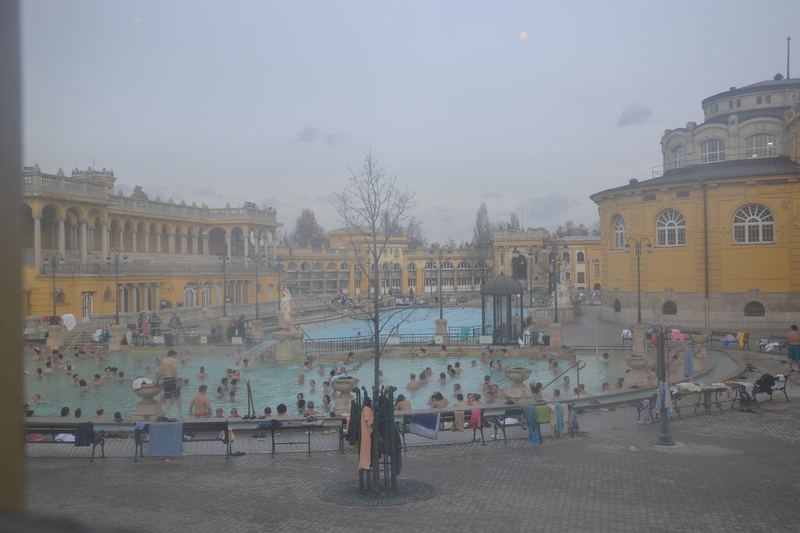 We didn’t go to ‘take a bath’, but we did go to see how the famous Hungarian baths look like – and it seems definitely worth it to visit them! It is lovely for the cold winter days. 9. 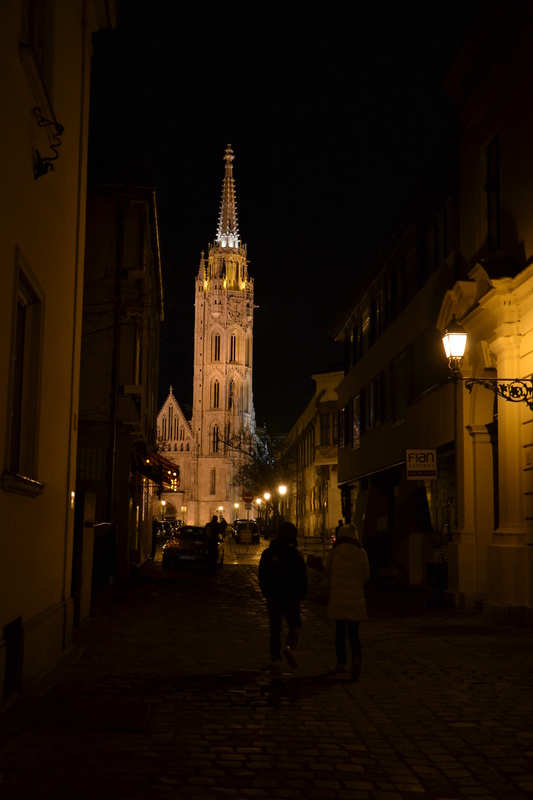 Walk in the Buda part at night! Romance is still aliveeee. 10. And after all – all we did was love Budapest. 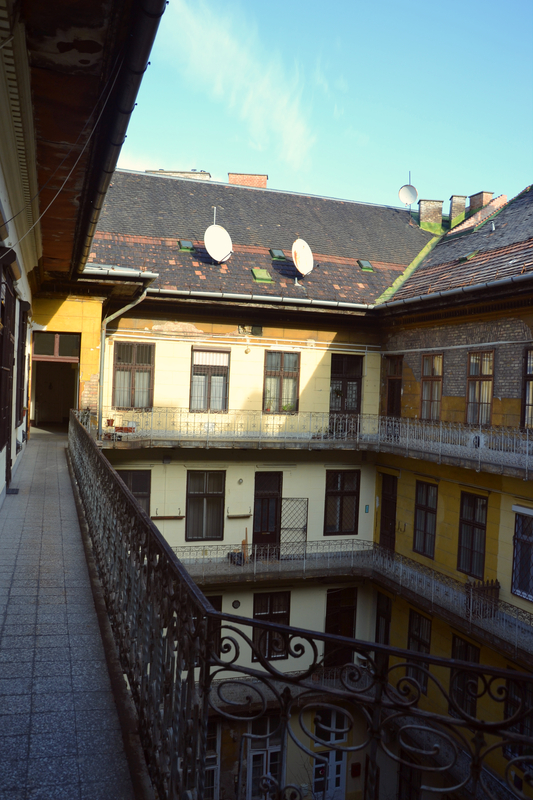 Part 1, or more of Budapest.